Do you still remember your first attempt at putting on an eyeliner? How about the very first night you tried smoky eyes? We all have come a long way from the newbie makeup lovers we used to be some years ago to now makeup mavens and addicts! Gone are the days we would have only have a few selections to choose from when it comes to makeup. Now we have about hundreds of brands to choose from. Want the blackest black eyeliner? There's Happy Skin Eye Am Here To Stay 24H Perfect Black eye pencil. How about the brightest yellow shadow? Well, I'm not sure what you want to do with it but if you feel like doing a rainbow makeup look, then you can hit up the BYS Cosmetics Counter. What about a pigmented and yet affordable everyday eyeshadow palette? Maybelline's TheNude Palette got you covered.
. It was a jampacked event with prizes to won, fun activities and workshop by no less than the effervescent Valerie Chua. Bianca Valerio also hosted the event which made it all the fun since this girl is as much a a beauty junkie as everyone in the crowd. SM Beauty is encouraging us to focus on our eyes this coming Holiday season. 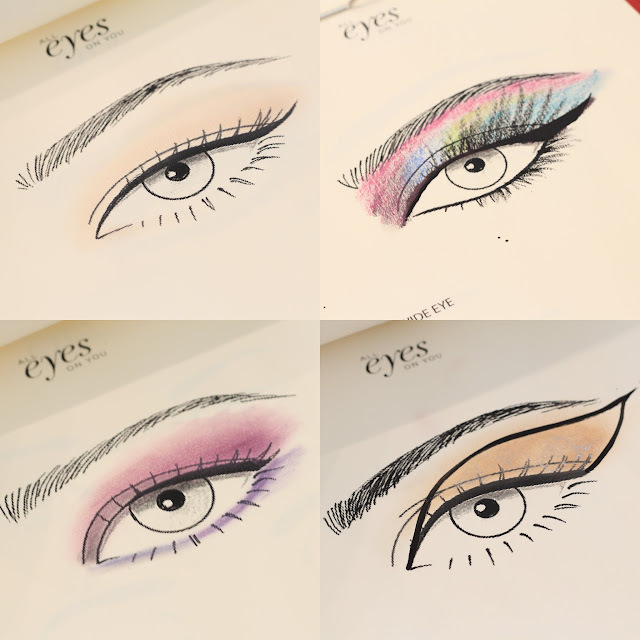 After their month-long celebration of lipstick addicts, SM want us to delve into the world of eye makeup and check out the new trends that may suit us. There's Pop of Color to instantly brighten our eyes. Sultry Neutrals that can take us from day to night. Shadow Play for the more adventurous. And last but not the least, Gold Sparkle for that important occassion... partying the night away! But wait there's more! The whole of October 2015 is going to be crazy. Drop your crayons, put away those adult coloring books. Your eyes is going to your focus with a month-long sale on eye makeup products!! Up to 50% discounts on all the brands that SM Beauty carries! So whether you are out a newbie out to discover your talent in eyemakeup or a veretable makeup addict, be ready to hoard! Brands like L'Oreal, Maybelline, Max Factor, Covergirl, Revlon, BYS, NYX, Elf and more will having lots of promos in their counters all month long.